Mobile communications is having a big effect on work. Work used to be somewhere we went, but for many of us it’s now something we just do, regardless of location. Thanks to technology, we can be productive pretty much anytime and anywhere. In fact, 60% of workers say they don’t need to be in the office. And the community of mobile workers is growing. 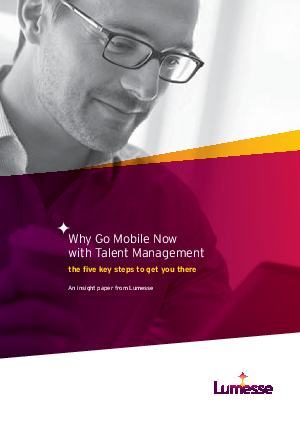 Download now to discover the 5 key trends to be successful in mobile talent management.